Treating your hull, in particular the area below the waterline with antifouling, is especially important to ensure long lasting and carefree use of your boat and great performance. 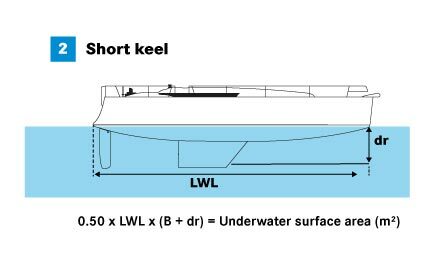 A cared for underwater hull results in easier maneuvering, more safety and lower fuel consumption. Which antifouling you should use depends on many factors, including where your boat is moored, what material your hull is made of and whether you own a motor boat or a sailing boat. This Antifouling Guide will answer most of your questions when it comes to treatment of your underwater hull and antifouling paint and provides you with helpful tips for successfully painting your yacht and choosing the right antifouling for your boat. Why should I use antifouling? What happens without antifouling? In order to prevent fouling, mussel and snail growth, treating your boat with antifouling in the spring cannot be avoided. This is true for all boats that are in the water for a longer period of time. Antifouling prevents organisms, such as barnacles as well as zebra mussels, and plants, such as algae and mud, from settling on your hull. Most antifouling contains biocides, such as copper, in order to prevent these deposits from happening. However, there are other products that are more environmentally-friendly, such as SILIC ONE products of the brand Hempel. 1. The boat can glide easier and faster through the water! 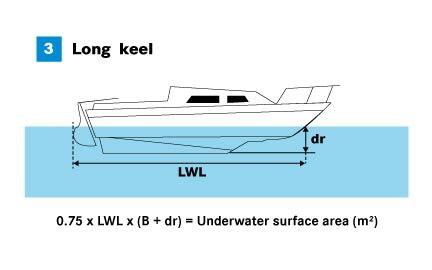 Deposits and fouling make your boat heavier and the frictional resistance increases. 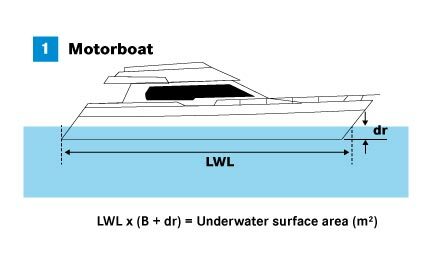 This directly affects maneuverability and the speed of your boat. Fouling on the propeller, bow thruster or steering gears can have dangerous consequences. The response time of the boat with regard to steering maneuvers is longer than usual. In the worst-case scenario, this can lead to complete failure. Due to increased frictional resistance of the hull in the water, more fuel is needed. This results in unnecessary costs and more CO2 emissions. Hard or soft antifouling - which antifouling do I need? Hard antifouling as the name reveals, forms a hard surface and is especially suitable for fast motor boats, trailer boats and boats in dry marinas. The following hard antifouling products are available for sale in our shop:. Antifouling for Propellers We carry special antifouling products for your propeller, which come in spray cans and thus make application a lot easier. Hempel Prop NCT, International Trilux Prop-O-Drevor Jotun Aqualine Optima reliably protect your propeller or propulsion against fouling. Do I need antifouling for my trailer boat? If you own a trailer boat and take it out of the water after each use, it is not necessarily required to use antifouling. However, you should still regularly clean your underwater hull and steam-jet clean your boat after each use. If your boat remains in the water for several days, we recommend to treat the underwater hull with antifouling. What type of protective gear do I need when working with antifouling? As mentioned above, antifouling contains biocides and other substances that may be dangerous to humans. This is why we urge you to carefully read the labels of the products and to wear necessary protective gear such as clothing during painting. The right protective gear is especially important. Information regarding recommended protective clothing can be found on the labels of the cans. When processing paint and antifouling, please always use gloves, safety goggles , and a suitable face mask ( with particle filter for grinding work, with protection against solvent steam when applying antifouling and primer). 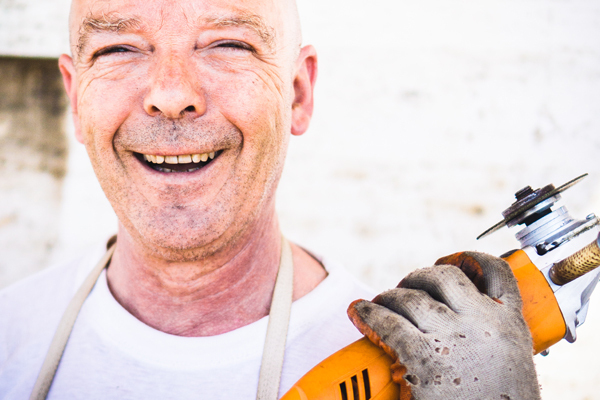 In order to protect exposed skin and your clothing, we recommend wearing an overall. What kind of materials and tools do I need when painting antifouling? In order for antifouling application to be an easy and quick process, you need the correct equipment and tools. This includes rollers and brushes for applying antifouling, masking tape for taping the areas to be treated, as well as suitable thinners or cleaners for cleaning your brushes and equipment. If the old antifouling is no longer in good condition, you might need a paint scraper, a good grinder with matching accessories or a product for removing the old antifouling. How do I apply antifouling? Should I use a brush or a roller? Both application methods are suitable for most antifouling products. Only for International VC Offshore EU and for International VC 17m the manufacturer recommends application with a roller. Using a roller when applying antifouling is usually the quickest method for large surfaces. The quickest, but not necessarily the most perfect result, is application with a lamb hair or short-fibred mohair roller, since these can soak up more paint. Using a foam roller takes slightly longer, but the result is a smoother surface and a higher quality. Brushes are perfect for difficult and rough surfaces, as well as minor repairs and difficult to reach areas. When using a brush in these areas, more paint can be absorbed. An even surface is possible when you are painting back and forth as well as horizontal and vertical over an area that is not too large. The final brushstrokes should be light and applied vertically. It is important to clean the brush about every 30 minutes, since paint residues can dry on the brush, and these result in an uneven surface. We generally recommend use of high-quality brushes for applying antifouling in order to avoid fine brush hair sticking to the freshly painted hull. "A tip from our SVB experts: If you hold your brush in a 45° angle, you can avoid visible brushstrokes." How much antifouling do I need? Formulas for calculating the correct amounts for your surface. The practical yield (m² per liter) of the different antifouling products is specified in the respective product data sheets that can be found on our website. The required quantity in liters can be calculated with the formula: total surface / recommended coverage rate of the respective paint. My antifouling is in good condition. Do I have to renew it? Clean the underwater area of your hull with fresh water, for best results and in order to remove loose antifouling particles, you should use a high-pressure cleaner. Sand the old antifouling in slightly wet condition. Rinse off the sanding dust with a suitable product (e.g. International Super Cleaner). Rinsing with water alone does not suffice in this case, since the fine abrasive particles will settle in the sanding grooves, which will affect the effectiveness of the antifouling. Repair damage or small blemishes where the antifouling has come undone. A step-by-step guide can be found in this Video. If you are using the same antifouling you have previously used, you can simply start with applying antifouling. For renewing the protection, one coat is sufficient. In case you are unsure which antifouling was previously used, as for example when you purchased a used boat, you should first of all apply a coat of barrier primer (e.g. International Primocon) and afterwards the antifouling. If you decide to use a different antifouling, please consult the compatibility chart below or contact us for more information. ● Wet sand existing antifouling, rinse with fresh water and allow to dry. The new antifouling can be applied afterwards. ● Remove existing antifouling completely, e.g. with Interstrip AF. ● Apply a coat of sealing primer, e.g. Primocon®. Afterwards, apply your new antifouling. I' ve bought a new boat. Do I still need to apply antifouling? Absolutely. A new boat with a GRP hull that comes directly from the shipyard has a layer of wax to protect the hull from damage. This must be completely removed before applying the antifouling. I would like to use a different antifouling than last year. Is my new antifouling compatible with the old product? How can I remove my old antifouling? There are 3 different methods for removing antifouling. 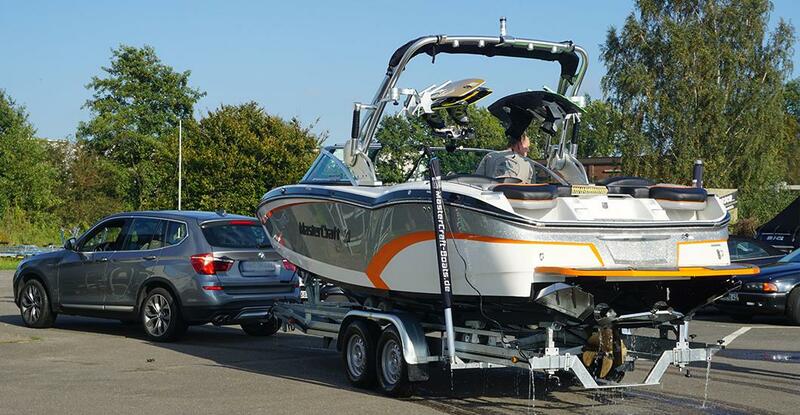 Which method is right for your boat, depends on the chosen antifouling and your personal preferences. For all three methods, you should first of all tape the water line and wear suitable protective gear. The advantage of sanding antifouling with an electric grinder is the time factor. During sanding, you should make sure that all particles are suctioned off so that none are inhaled. Curvatures are especially tricky, because the gelcoat can easily by damaged here and the laminate exposed. The disadvantage of this method is that the sand paper quickly disintegrates due to the soft structure of the antifouling. The discs have to be replaced often, which is why this method is costlier. 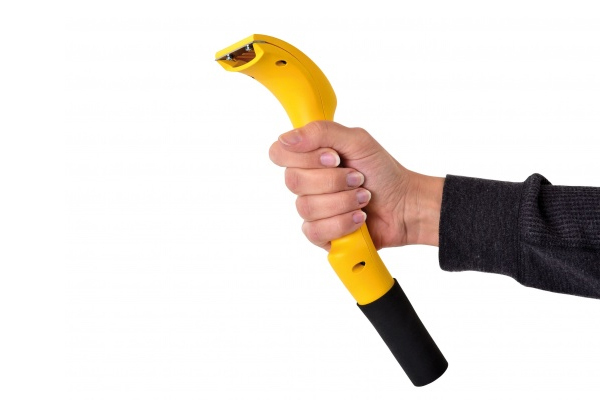 Removal of antifouling with a so-called paint scraper, or simply scraper. This method is clearly cheaper than sanding with a grinder, however more physically demanding. In addition, it requires some practice not to tilt the scraper too much and accidentally damage the gelcoat. For the best results, choose a model with vacuum cleaner connection. This way you don‘t have to worry about the sanded dust covering the floor. Prior to stripping the old antifouling, it is important to choose the right protective gear and to sufficiently mix the product (e.g. International Interstrip AF or Yachtcare Antifouling Stripper). Subsequently, you can generously apply the product with a wide brush. For the solvents to show their full effect, it is recommended to cover the painted surface with a film. After 10 minutes, you can use a trowel and test whether the product is already showing an effect and the antifouling is coming off. Never let the solvent dry completely! Following treatment, clean the hull thoroughly with water and a sponge. 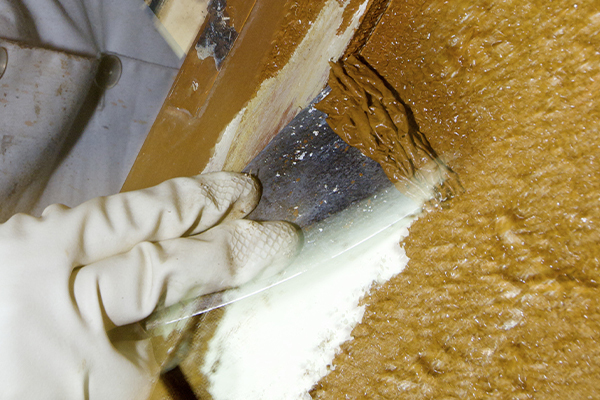 The solvent residues along with the detached antifouling have to be disposed of correctly. I purchased a new boat or my boat has never been treated with antifouling. How do I apply antifouling? In general, all materials need to be completely grease-, dust- and moisture-free prior to applying primer and then antifouling. For degreasing, Super Cleaner works perfectly. Dirt, oil, wax and grease residues are history. Before you apply antifouling, you need to prime your surface. International Gelshield 200, a fast drying epoxide primer, is especially suitable for GFRP boats. For aluminum, lead, steel and wooden surfaces, International Interprotect or International Primocon is a reliable product. Please also consult the product data sheets regarding intervals between coats. Following cleaning and priming, you can start applying your antifouling. Watch the following video for helpful tips regarding priming of your underwater hull. How many coats of antifouling should I apply? That depends on several factors, such as e.g. sailing and motor speed, the types of estuaries/waters your boat is used in and the climatic conditions. We generally recommend applying a soft antifouling in three layers and a hard antifouling in two layers. Since the number of coats varies from product to product, you can find more information regarding the correct application in the product data sheets that are available on our website. As a rule of thumb, it is better to apply more antifouling than needed, especially in areas with more abrasion (water line, rudder blade and keel). If you are uncertain how many coats of antifouling you should apply, do not hesitate to contact our customer service. How long can you store antifouling? An unopened can of antifouling pretty much has no expiration date but is at least good for a year. An opened can should be used up completely if possible. If you are unable to do so, airtight packaging will allow for longer stability of the product. How long does antifouling need to dry? The drying time very much depends on the respective product. Please refer to the product data sheets for the respective products on our website or contact our customer service. Does SVB carry antifouling products that are approved in the Netherlands? Specific regulations with regard to the private use of antifouling are in place in the Netherlands. The use of antifouling products that contain biocides is only allowed if you are in possession of a special authorization number. An authorization results in relatively high costs for the manufacturers. SVB does not sell an antifouling that is approved in the Netherlands. Approved antifouling products are easier to locate directly where you live. Of course, you can always use antifouling that does not contain any biocides, such as Hempel‘s Silic One. Can I order antifouling paint with express delivery? Express shipping of antifouling and other paints and varnishes is unfortunately not possible since these products are considered hazardous goods and cannot be shipped airfreight. In what type of weather can I apply antifouling? The temperature should be between 10 and 30°C and the humidity should not be above 65%, since humidity could affect drying of the product. Never apply antifouling in direct sunlight or when the underwater hull has been warmed by the sun. Try to avoid applying antifouling when it’s windy. Can I renew antifouling already at the end of the season for the new season? We recommend application a few weeks prior to going to water or as close as possible since the active ingredients of the paint already begin to diffuse shortly after application. In that case, antifouling might lose its protective features, if it is applied too early.